← The entire Olympic team, equipment and all. 0 Responses to Trapped behind bars! Should I send a cake with a file in it to help you bust out? Any signs of a thaw coming soon? It’s 7 above here this morning, really cold for this late in the winter for us. Oh my goodness! I guess that means there’s been some melting, anyway! WoW. 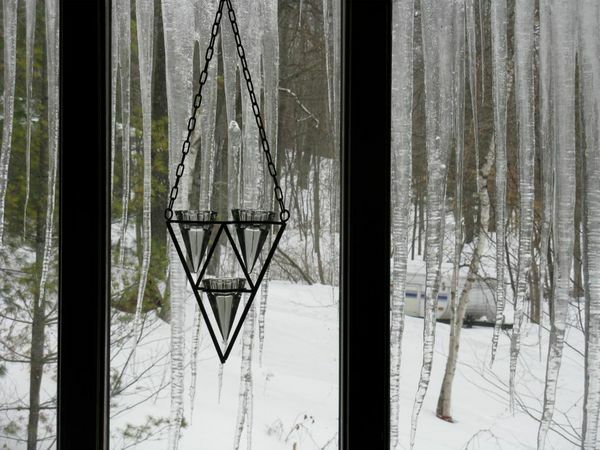 So ok, I realize living in the southern middle earth neck of the woods we don’t get those often but when my kids were small and we would happen to get snow and icicles… we’d break the icicles off (carefully) and build ice structures (castles, forts, etc) in the snow and oh what fun! Hang in there. Spring will come. 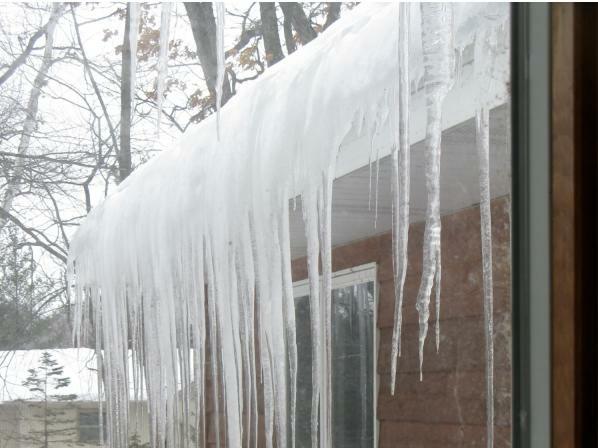 As long as the ice stays ice & water does not make it inside I think they’re kinda neat. See, that looks way awesome to me and I wish it was on my house. 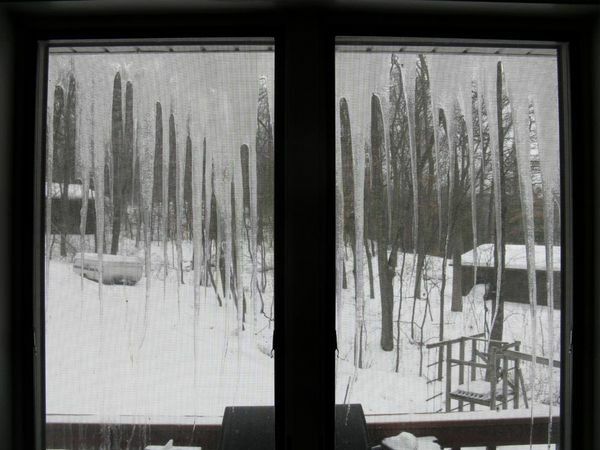 If it helps; icicles taste just as awesome now as they did when you were a kid. I know. I tested a couple this year. 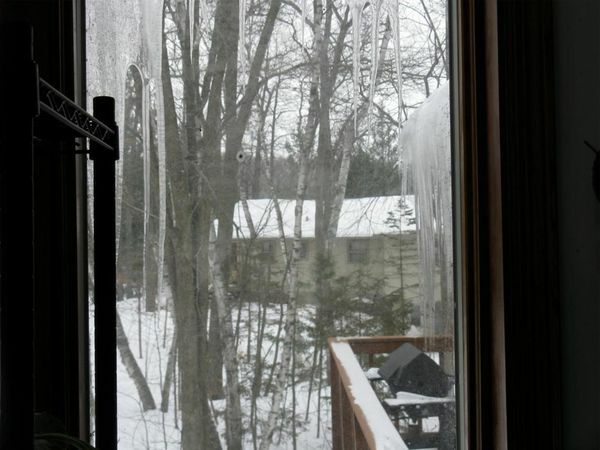 Careful trying to get out so you aren’t crushed by an icicle! Yikes! 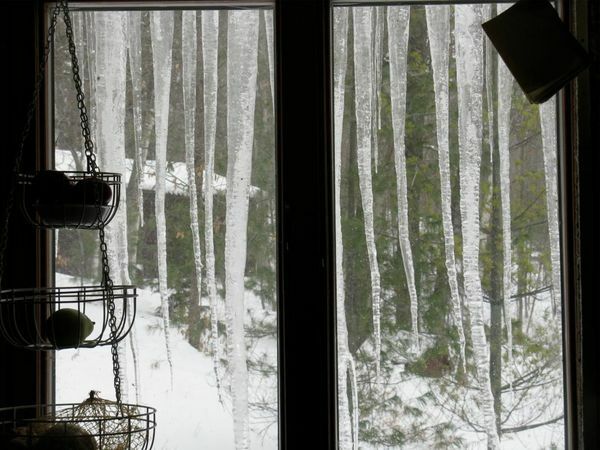 Those are the kind of icicles that fall off and kill people in bad murder mysteries! Hope that Spring comes soon for you. You can always send the cats out for food and yarn, right? When I was a kid, my favorite things about winter were. 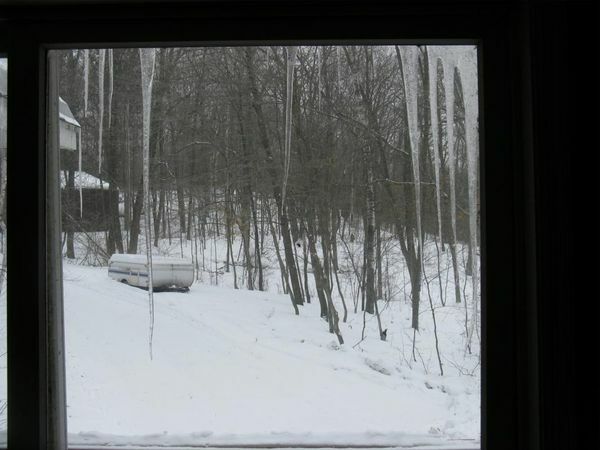 . . frozen puddles and icicles! Those are mighty fine specimens!